Joanna Gosling speaks to the former head of the British Army who says he had fears over the side effects of anti-malaria drug Lariam and refused to take it. 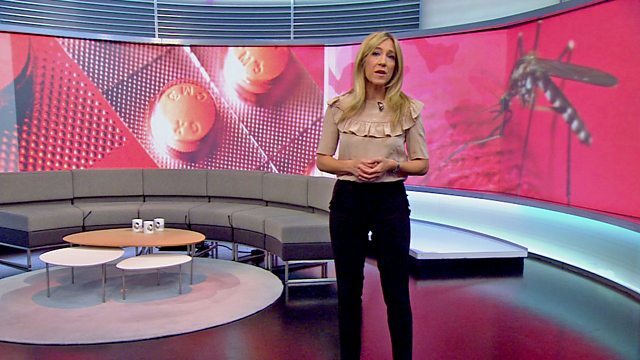 Joanna Gosling speaks to the former head of the British Army who says he had fears over the side effects of anti-malaria drug Lariam and refused to take it, even though he knew it was being prescribed to his troops. Mothers speak of their experience of being discriminated against at work. Plus experts explain why children as young as three are suffering from body image issues.